You’re not alone out there. Online competition is fierce, and every day the sea of kraft boxes grows bigger. You’ve heard that you’ve got to stand out to survive, and custom branded packaging is one of the best ways to do it. Custom boxes and printed labels are a great place to start, and will catch your customer’s eye instantly. But what about when that box is open? There’s an opportunity there, and custom tissue paper is the way forward. It’s gorgeous, it’s soft, and if you do it right, it’ll shine a spotlight on your brand that customers cannot ignore. Here’s 3 reasons why your online store should be using custom tissue paper in all its customer orders. Your logo is one of the most important pieces of marketing and advertising your business will ever have. It instantly sums up who you are and what you sell, and it’s good to burn it into your customer’s mind as soon as you can. 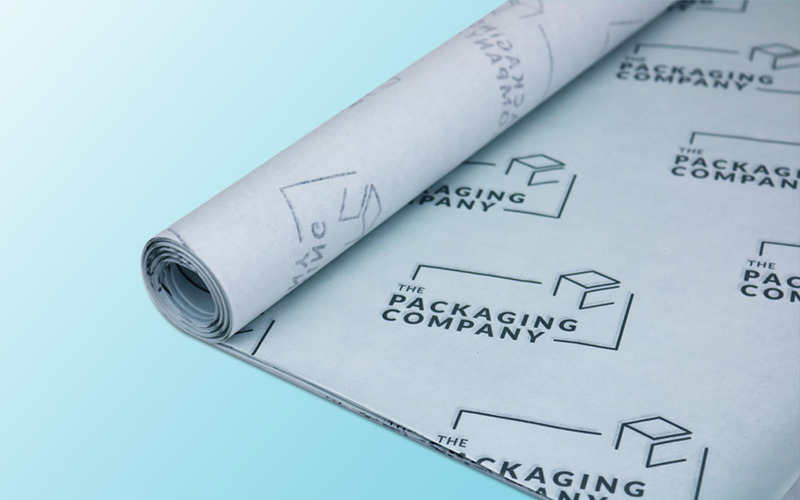 Repetition is a major part of building brand recognition, and custom tissue paper can help with that. Imagine a wide, open sheet of tissue paper as a canvas just waiting to be emblazoned. Your logo’s been doled out in a smartly designed, smartly laid out pattern—that also looks really, really good. That’s repetition, consistency, presentation and awareness all in one. You can’t lose, your packaging can’t lose, and your customers will not forget you after that. More and more online competition pops up every day, making it both more important and more difficult to make a name for your own online store. That’s lead to the rise of the unboxing experience, a strategic handling of your packaging, designed to wow and delight your customers when their order arrives. Boxes in a brand’s colours, and printed or labeled with a logo is always a good, go-to choice for creating an unboxing experience. But plenty of businesses tend to neglect the inside of the box, which is a missed opportunity for sure. Imagine opening a vibrant box to discover high-quality, colourful tissue paper lining its inside and cradling a customer’s order. That’s a sight no customer would soon forget. Despite how pervasive modern technology like the internet and online shopping has become, humans remain tactile and physically-oriented. That’s why the unboxing experience is so effective. Though we get an adrenaline rush from pressing that order button, it still doesn’t match up to receiving a box and tearing it open to get at what’s inside. Most packaging strategies stop there. A gorgeous box, a vibrant label, and then there’s the customer’s order sitting inside. 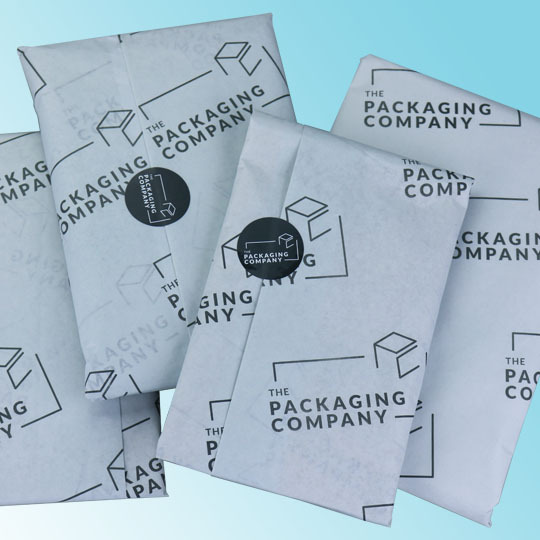 Smart packing strategies set out to keep customers engaged and tactile even once the box is open, and again, that’s something custom tissue paper can absolutely do. Imagine throwing open that box, then seeing that stunning tissue paper and digging into its depths. The feel of the soft tissue paper, alternating from smooth areas to crinkly areas to folds, making random ear-pleasing crumpling sounds in your hands. You haven’t just created the perfect unboxing experience, you’ve created the perfect unwrapping experience, too. You’ve got a great product, a great set of customers, and a great strategy for your outside packaging. But, they say there’s always room for improvement, and we think that’s especially true when it comes to the unboxing experience. Don’t stop once the outside is perfect. Dive right in and make the inside as memorable as the outside. 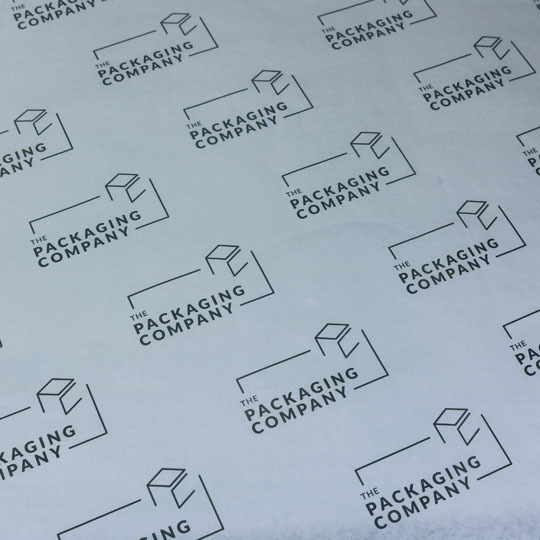 Custom tissue paper, printed with your logo and branded in your colours, is one of the most stunning ways to do that. 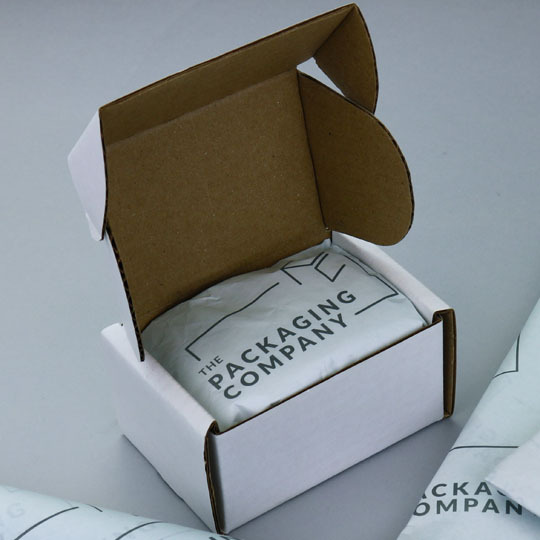 When your business is ready to step into the world of unboxing and unwrapping experiences, The Packaging Company is right here to help transform your packaging strategy. Don’t hesitate to contact us, we’ll gladly show you what your e-commerce partner can do for you.